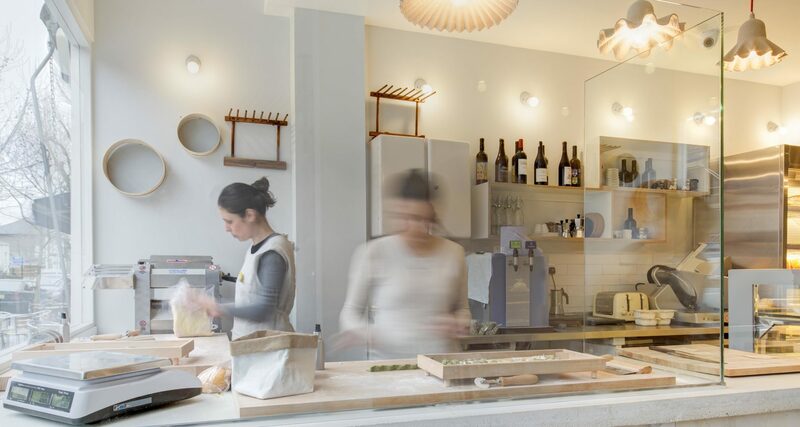 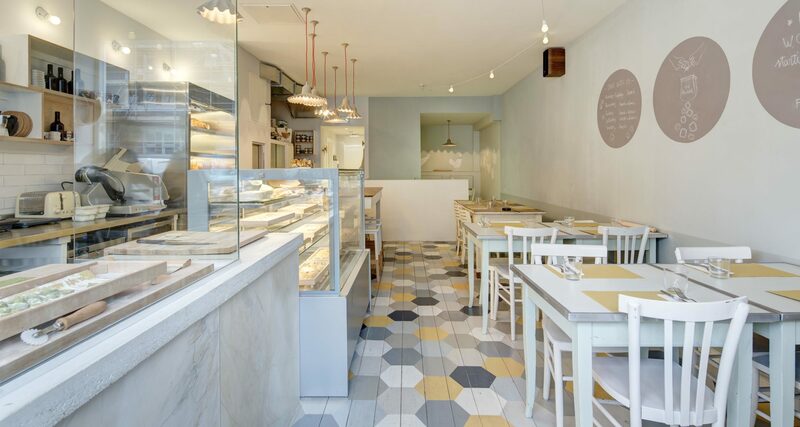 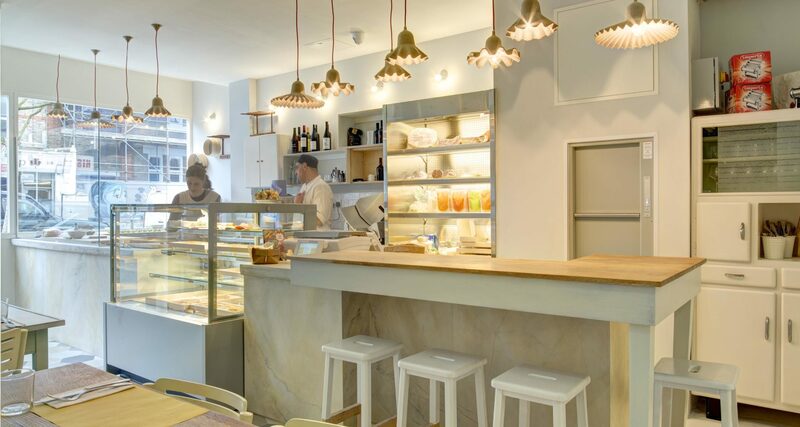 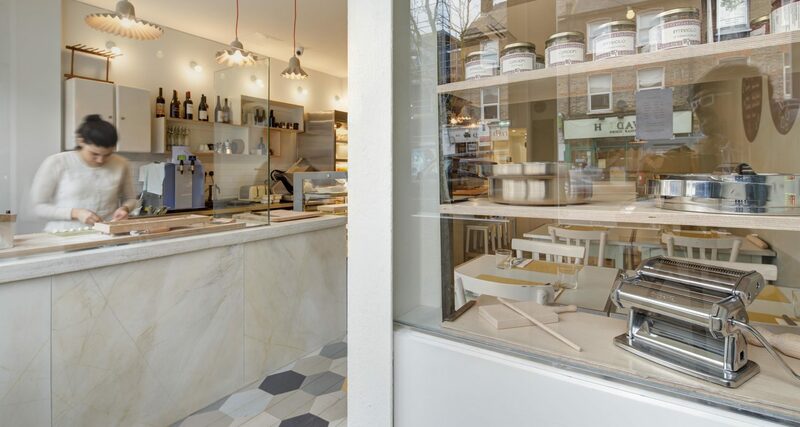 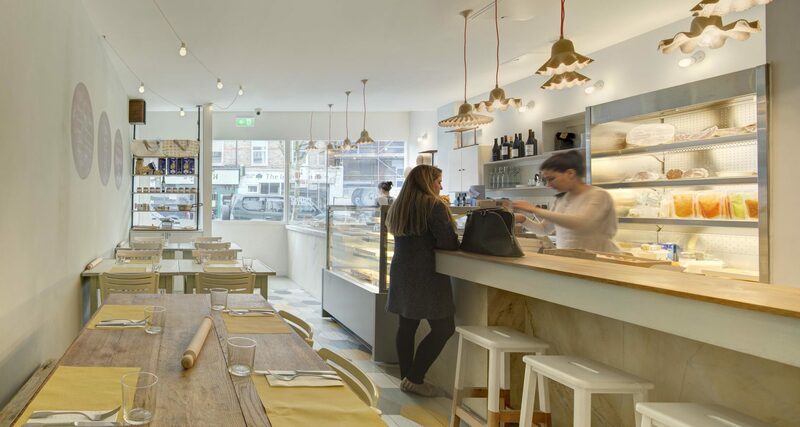 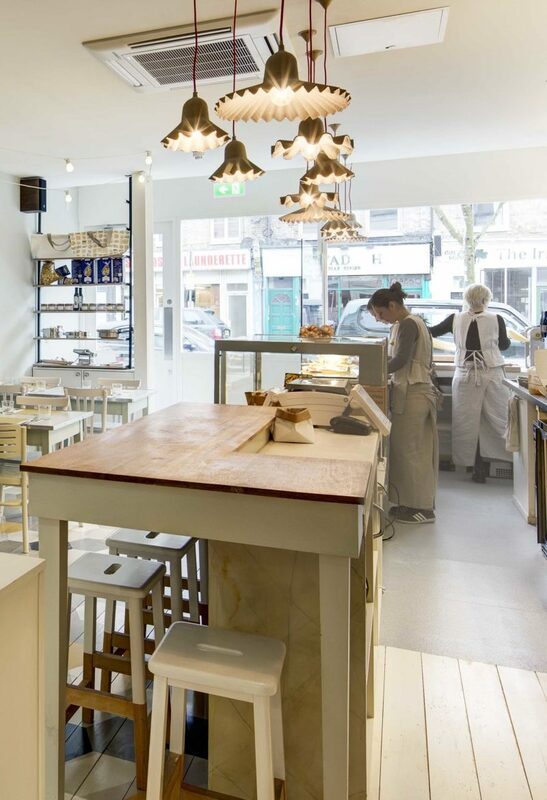 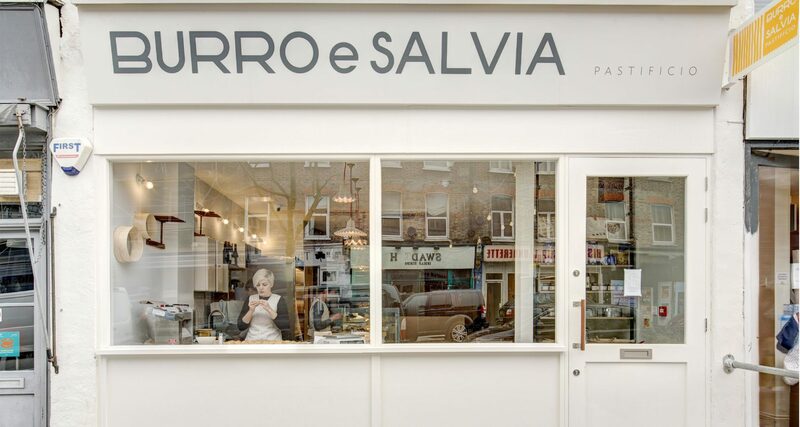 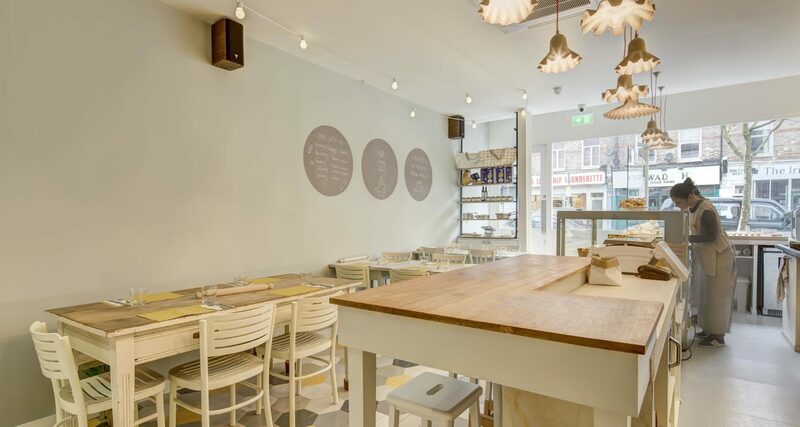 London based retail unit, bringing the art of Italian pasta-making to East London. 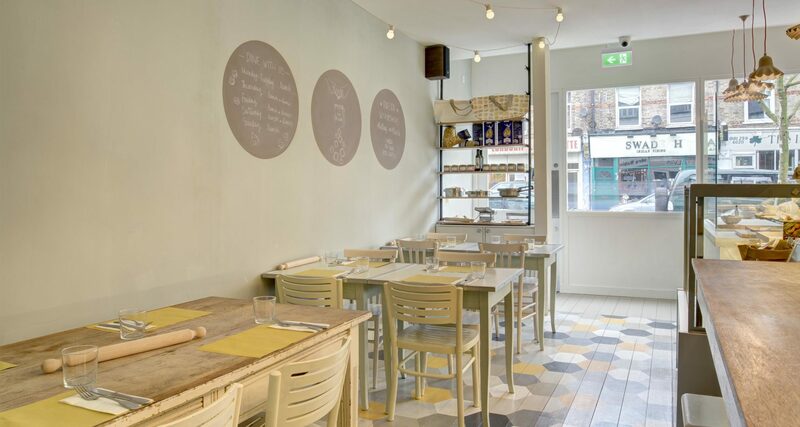 This compact retail unit allows customers to enjoy delicious handmade pasta in beautiful, homely surroundings. 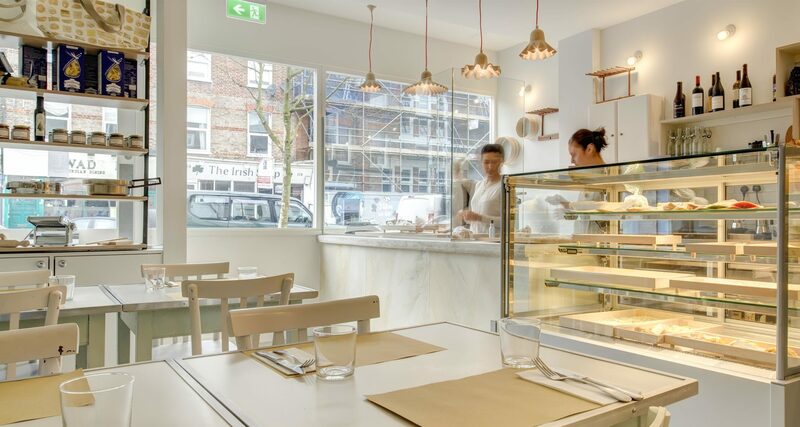 The pasta-making counter is positioned in the shop window, encouraging interested customers to enter and sample the work of the ‘sfogline’ or pasta makers, busy inside. 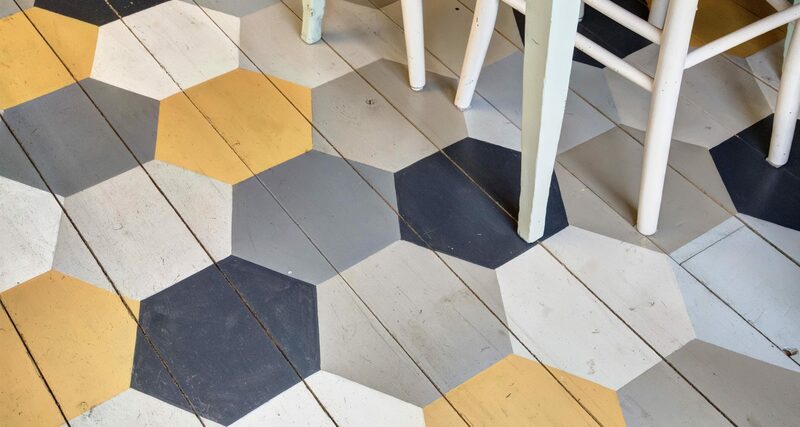 The space is divided practically. 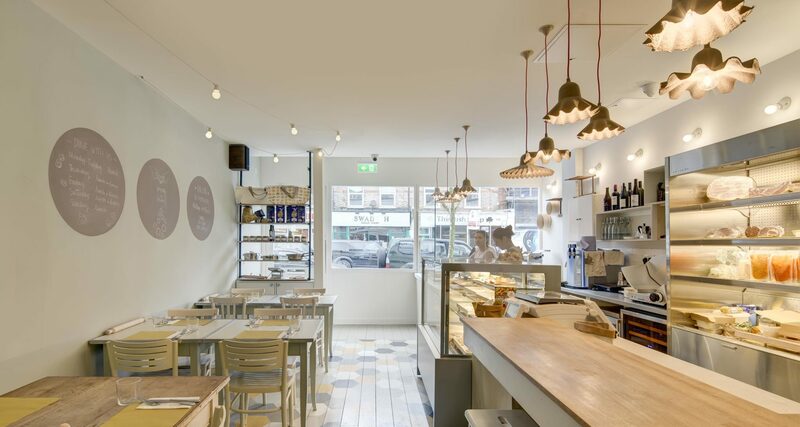 At basement level are kitchen, storage and office areas while the open ground floor space contains a restaurant and contemporary refrigerated unit for take away food. 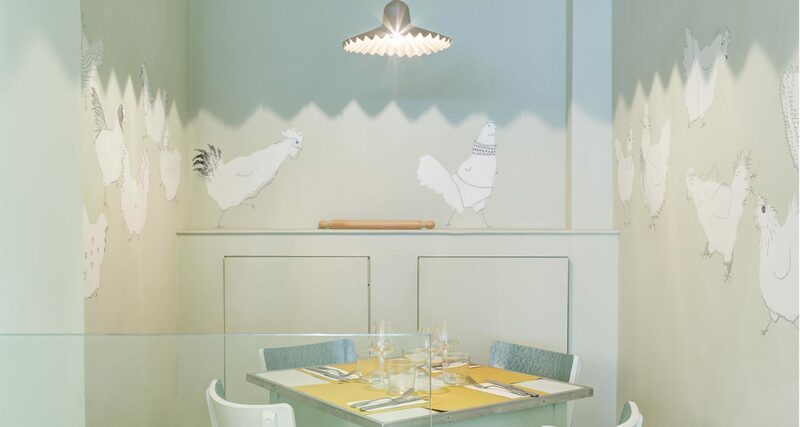 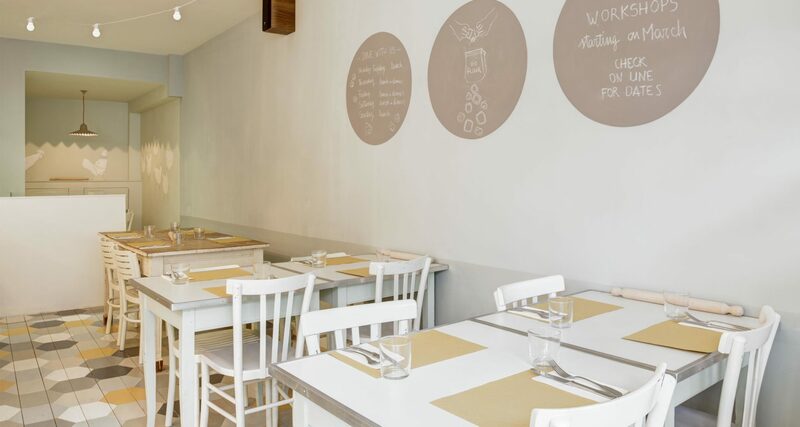 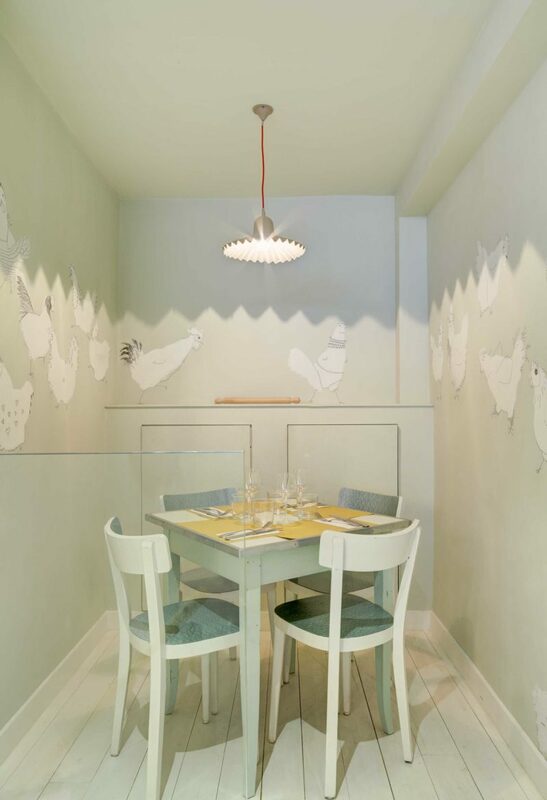 Working with artist Lise Casalegno Marro and by sourcing furniture from a local vintage market in Turin, we were able to create an ambience that reflects the honesty, simplicity and comfort of the food produced here.